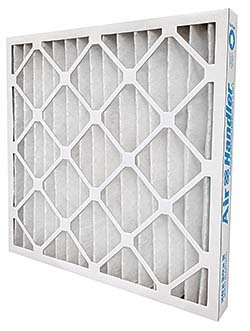 The Air Handler standard-capacity MERV 7 is rated to 150 degrees and five times more efficient than fiberglass filters. Each filter is made of 100 percent synthetic, recyclable material and does not shed fibers. A moisture resistant frame and max velocity of 500 helps improve air quality and keeps resistance within reasonable operating limits. The filters are UL listed.